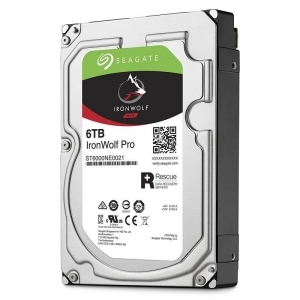 Store your critical data on the 6TB IronWolf Pro 7200 rpm SATA III 3.5" Internal NAS HDD from Seagate. 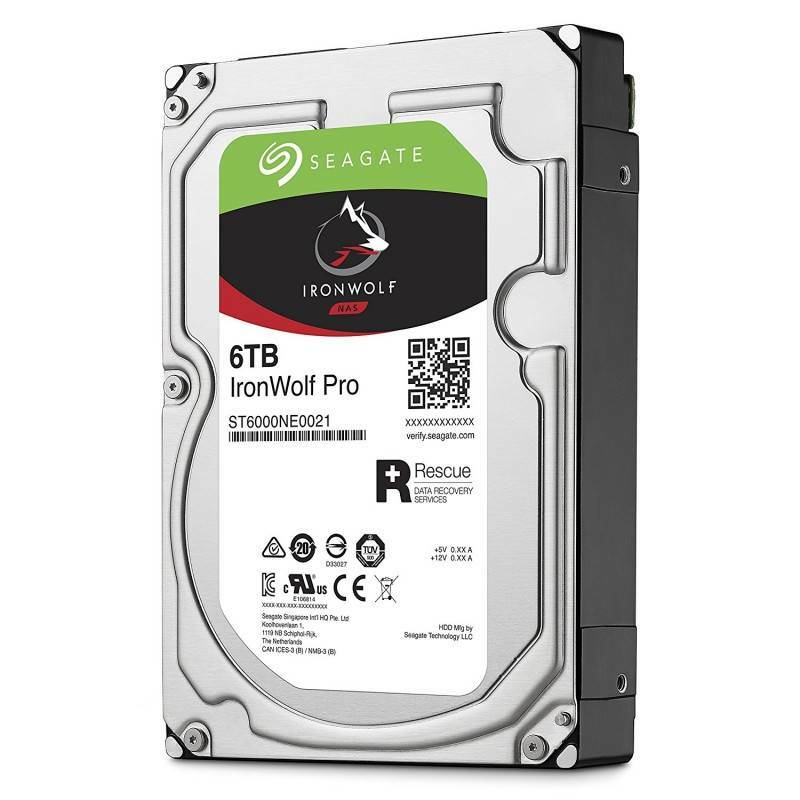 The IronWolf Pro is designed for corporate environments that utilize 16-bay systems and servers. The NAS hard drive provides an ample storage capacity of 6TB and is built to withstand 24 x 7 operations. In addition, it supports a user's workload rate of up to 300TB per year. It is outfitted with a SATA III interface and mounted in an available 3.5" drive bay. Other notable features include a 7200 rpm spin rate and 256MB of cache to deliver a maximum sustained data transfer rate of 214 MB/s. Moreover, Seagate includes a Rescue Data Recovery service that helps you retrieve damaged data in the event of a mechanical, accidental, or natural disaster.